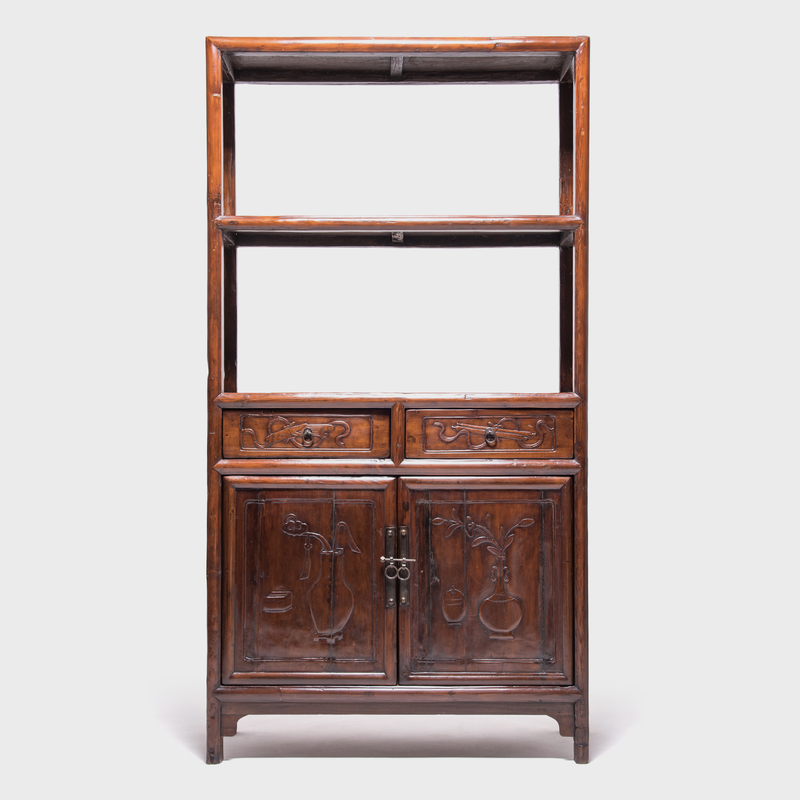 W: 45.75" D: 18.25" H: 86.75"
Collecting was a popular pastime for well-to-do Ming and Qing dynasty gentleman, and a shelf like this one would have been an ideal place to display jades, curios, porcelain, and collectibles. 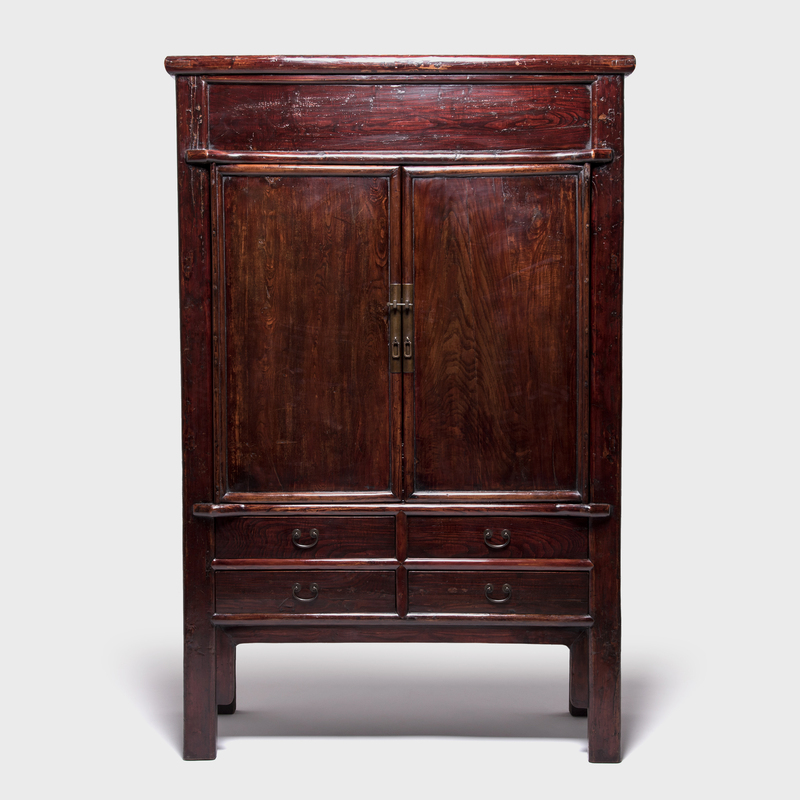 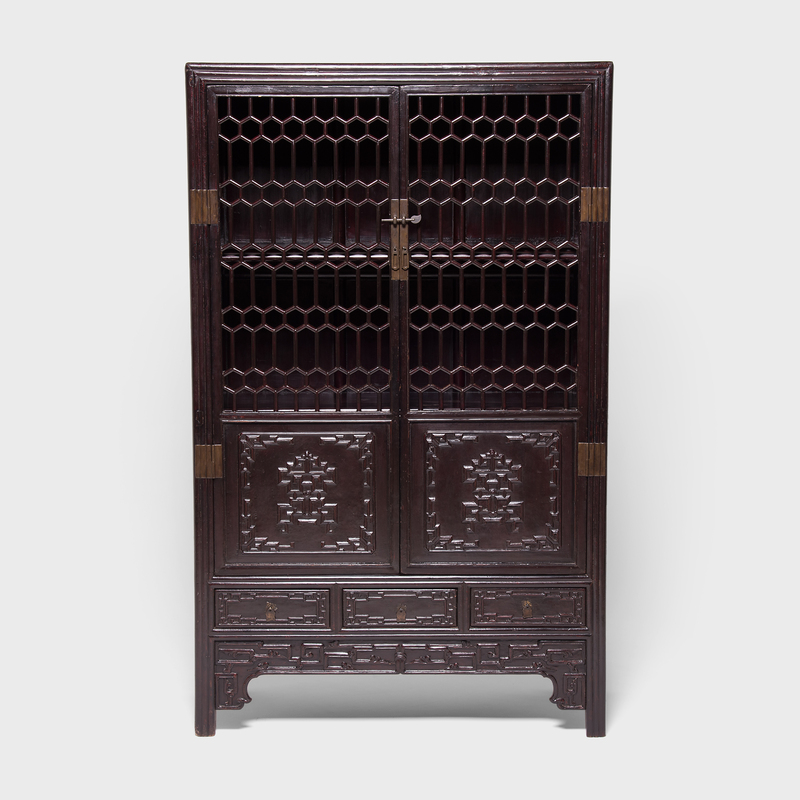 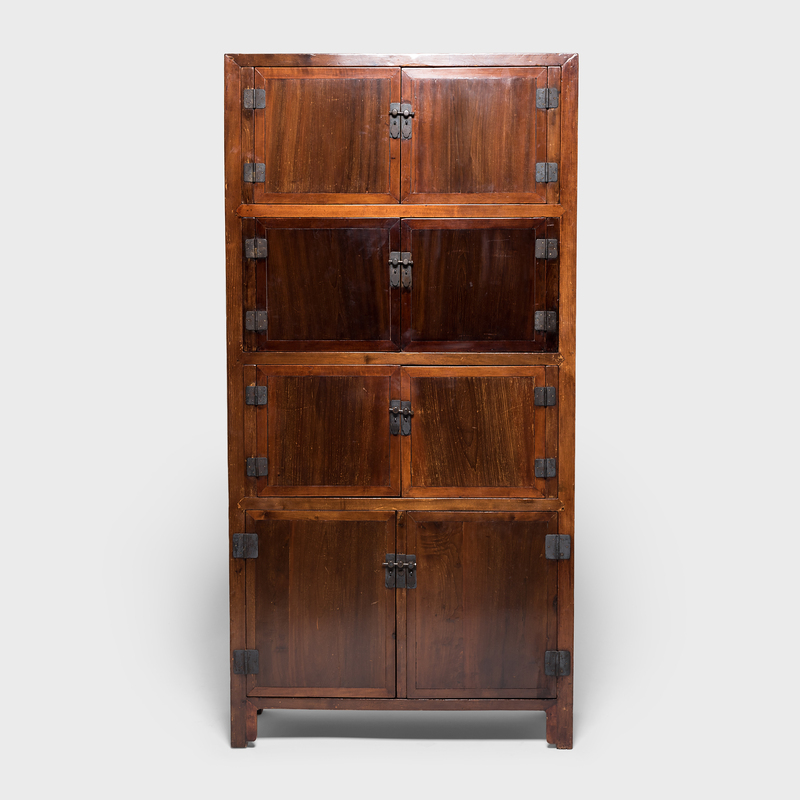 This shelf was made out of elmwood over 150 years ago in China’s Shanxi province. 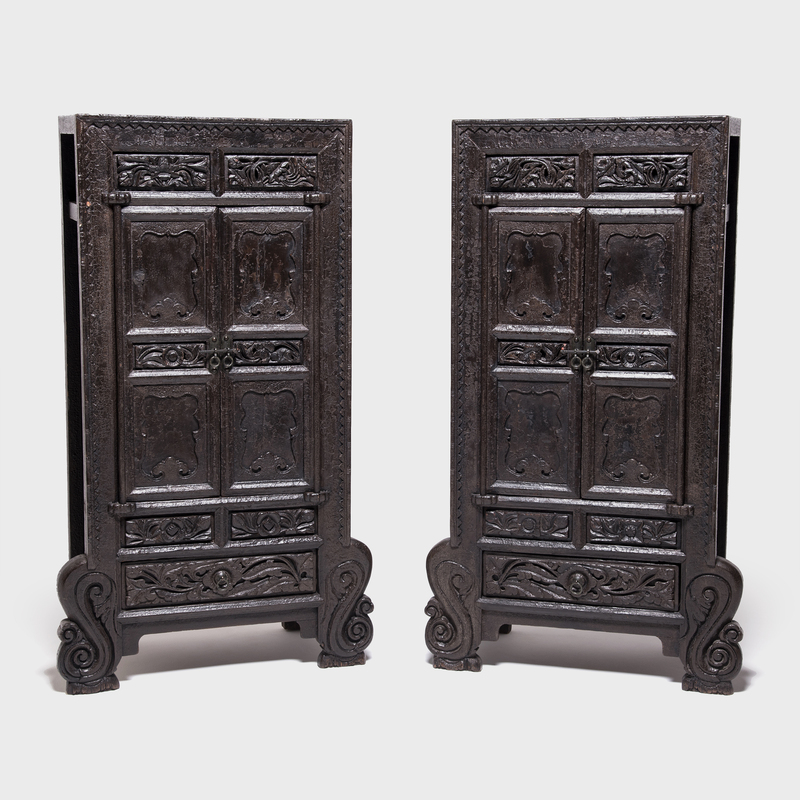 The two doors and two drawers are carved with detailed scholars' objects and vases filled with auspicious flowers.